Come on Dave, you should at least have hooked up the glass one to a pulse generator and probed with a 10M probe. You might have gotten something on the scope. I'm sure all the stages in the coil delay were actually meant to be the same inductance, but your LCR meter was confused by the common connection sitting in parallel. Re: EEVblog #381 - How Do Ultrasonic Delay Lines Work? I did, I got nothing. I actually found out that it should be a shear wave (probably that's why all the black spots are there) so to induce a delay of 64us the sound needs to be travelling about 1mm. In free air it would be 21mm, which still does not correspond with the convoluted multiple reflection path. It seems that the delay is mostly a fixed constant determined by the crystal cut, electrodes and piezo placements and some RC network. "by changing the transconductance of differential amplifiers which constitute the active filter, the amount of delay of the glass can be changed"
Note: the amplifiers have to match the impedance of the glass, so there has to be some magic there to be able to cut the crystal exactly and/or tweak the active filter. I would assume the impedance gets tweaked on the production line and afterwards they tweak the delay as well. So, somewhere, because of the digital age, several "quartz glass delay ultrasonic impedance matcher and delay adjuster" jobs got lost. In VCRs they were used to conceal tape dropouts. If the signal momentarily drops out, it switches in a delayed signal from the previous line to avoid showing a black or white glitch. The reason for the very short delay line in TV decoders is to delay the luminance signal slightly to compensate for delays in the colour processing, so the two arrive at the same time out of the decoder. Hmm, is that why when you have a bad tape, you get bars which seem to stretch the vertical? Never thought about that but it would make sense. There's a bit of black magic in the LC delay line. Notice the spacing of the four inductors - they are grouped with two close spaced, a gap and then two more close spaced. The spacing is designed to yield a certain mutual inductance to improve the delay line performance. In addition, breaking the delay line into multiple LC segments is necessary to improve the rise time. As used in the BBC's Advanced Field-Store Standards Converter, used to convert 525-line NTSC footage to 626-line PAL and vice versa. The accuracy of the delay time was maintained by heating the blocks with electric iron elements(!). Here's one of the many BBC engineering documents on their converters: http://downloads.bbc.co.uk/rd/pubs/reports/1964-65.pdf which goes into horrific detail on the operation of the system. looks close and it (or a related patent) quotes a propagation speed of 2400m/s - so 64us would need 15.36cm. Also used in decoding PAL to avoid the Hanover bar effect. You are right, sorry! Thanks for pointing out the error. But then I don't understand how on one side the delay is variable by changing some parameters (patent description) but on the other side it is EXACTLY 64us. 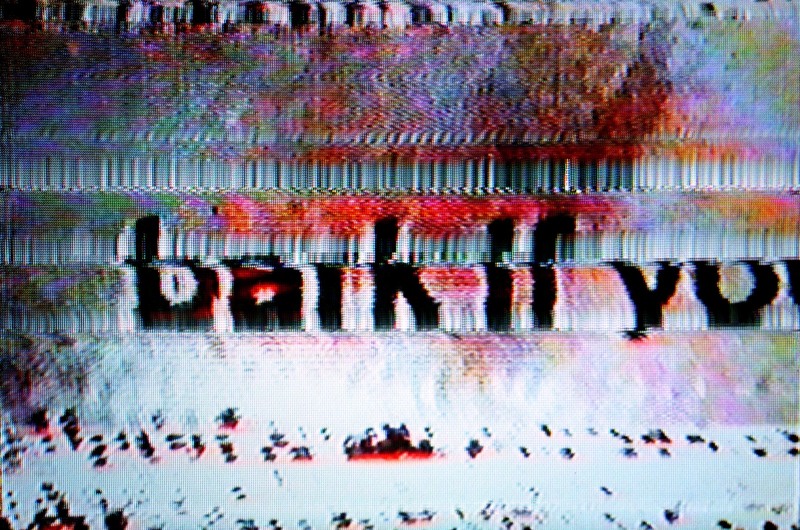 The 1H delay line was used for luminance dropout compensation in VCRs during playback whereby a previous line was inserted when a dropout was detected. The 2H delay which was disected is a 128 microsecond delay line used for chroma crosstalk cancellation. Consumer video tape recorder systems used FM for luminance processing and a hetrodyning system for the chroma where the 4.433 MHz subcarrier was downconverted to an approximate frequency of 627 KHz (still QAM). Video head azimuth offset gave the luminance signal great crosstalk separation but the "colour under" chroma signal used a 90 degree phase rotational method per horizontal line of recording. During playback the 2H delay line would average out crosstalk errors. BTW from what I remember from my teaching days, the original material used for delay lines is known isopaustic glass. Yeah, I only did a quick test as a sweep around that range and expected to see it pop up. I guess it's much narrower than I expected. Damn, I wanted to try the memory aspect of it as well but you beat me to it! It would be interesting to use a better amplifier & pulse reconstruction to see how long you could bounce the signal around, and how much bandwidth you could get. Very educational Mike, loved it! Those delay lines also need the right input and output terminating resistance. most common is 330R, and still you have a high loss, but still usable. Here is something that may interest you. Many years ago my dad was a field repair techy, and covered all sorts of consumer electronics. Back then the level of training and education was seriously impressive in comparison to most of today's technicians. Much more worthy of the title Engineer. Anyway, here are a couple of delay lines he extracted from old valve / transistor era TVs. It seems that these were Mark 2 delay lines. The Mark 1s were even bigger! 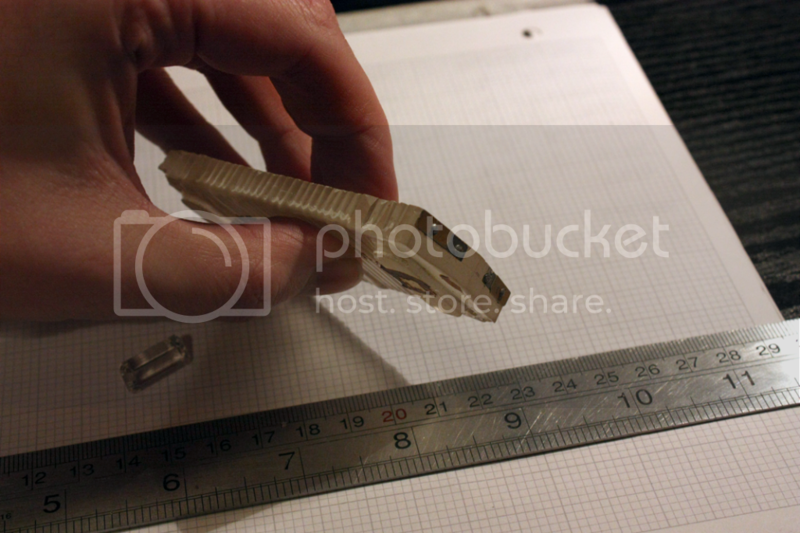 The one on the left measures 90mm long, by 42 wide and 6.5mm high. 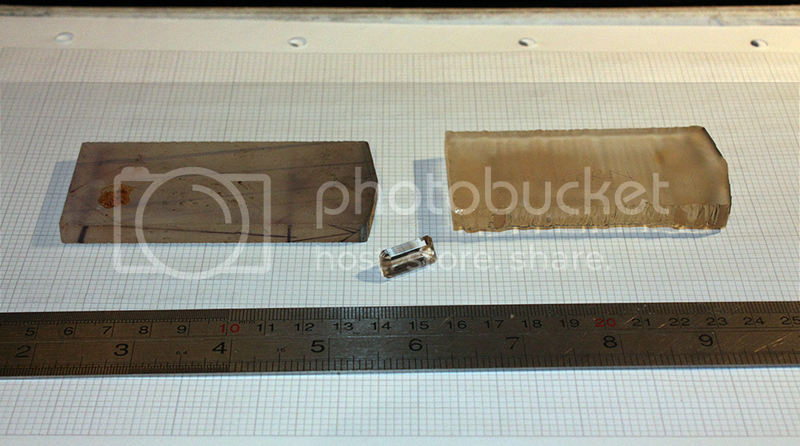 The one on the right is considerably thicker at 10mm, but 39mm wide and 80mm long. Originally they would have been in plastic housings. Both are pretty weighty lumps of glass. The reason for one being 10mm shorter than the other, and also the reason for their being out of their original plastic cases, is just visible in the centre. One of my dad's hobbies is gem cutting! Old delay lines provided a good source of high quality material to practise a variety of gem cuts. The photo really doesn't do it justice, it really sparkles and glitters. You can just about see the moulded ripples in the side, and the moulded-in feet underneath. The piezoelectric transducers are clearly visible. Nowadays, when digitizing tapes, maybe the delay line can be removed so the PC can more easily recognize the dropouts and use more advanced algorithms to restore the original? Or better yet, wire in a digitization system (maybe a FPGA board with some ADCs) into the VCR and then process the raw data using software. That's what happens to many of the consumer electronics. Just chock full of badly written code and the codemonkeys writing it are actually called software engineers! I call them software babboons!